Kentucky Equality Federation today condemned Senate Bill 127 after Representative's attached House Bill 350 to the bill because the House Health and Welfare Committee refused to post it. "The Kentucky House Health and Welfare Committee knew House Bill 350 was dangerous, refused to post it, and no one voted on it. 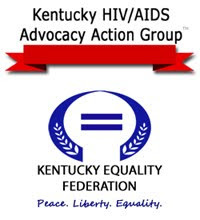 The Committee was wise enough to realize the requirements for licensed care providers must remain in place," stated Kentucky Equality Federation President Jordan Palmer. "This is an underhanded technique used at the end of sessions to move pieces of legislation that haven't moved before by hiding them in other places." House Bill 350 seeks to remove HIV/AIDS training and education requirements for licensed service providers such as physicians, registered nurses, social workers, etc. Treatment options change rapidly, making it imperative that all health care professionals know the physical manifestations of HIV/AIDS. Gary L. Fowler, a special adviser to the Kentucky HIV/AIDS Advocacy Action Group, and Co-Chair of the Kentucky HIV Prevention Advisory Council (KHPAC), a Kentucky Government Organization, stated: "I would like to point out that surveillance training is necessary for us to have the best information available to stop the spread of HIV/AIDS. Kentucky has a high number of people infected with the disease that report unknown risk factors. 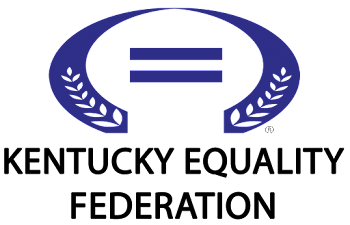 If we do not have accurate numbers for who is being infected and what their behavioral risk factors are, we do not have a clear picture of where we need to target our prevention dollars." Edelen continued: "House Bill 350 does a disservice to the citizens of the Commonwealth of Kentucky by lowering healthcare standards for service providers and should be defeated. The citizens of this great Commonwealth deserve the best representation from their lawmakers to ensure the quality of healthcare is held to a higher standard than 'minimum' and enforced with every protection under the law."